Officially released in Japan in 1991 and finally getting it’s re-release 25 years later, Only Yesterday is a quiet and contemplative master class on character study in film. Having directed my favorite film of 2014, the soul crushing and explosively animated The Tale of the Princess Kaguya, director Isao Takahata’s second feature film is equally as emotional. Greater still is how the film lies in the director’s filmography and how his stories have grown since Grave of the Fireflies ins 1988 to 2014’s epic. 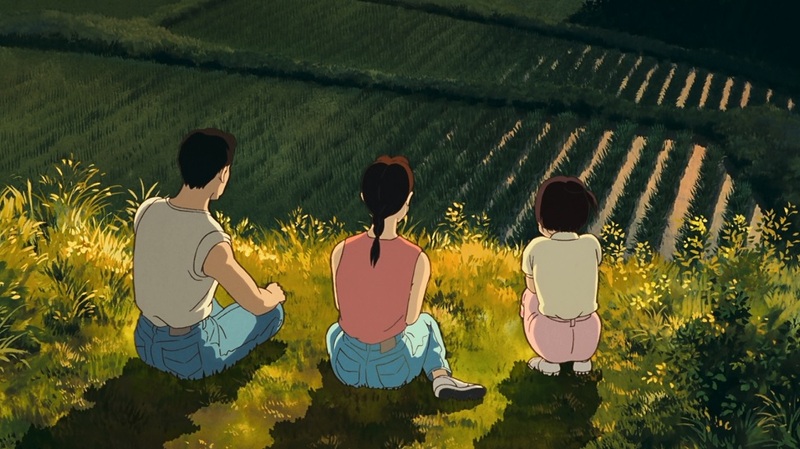 Only Yesterday’s is so largely internalized, it’s character’s emotions weighing heavy on them but doing so silently, crushing concerns of life’s bigger questions being pushed back with distractions, new friends and stunning countrysides taking over their thoughts. It’s a film that allows its visuals to speak as loudly as its words. Based on the manga of the same name the story focuses on 27-year-old Taeko (voiced by Star Wars: The Force Awakens Daisy Ridley in the re-release) who decides to take a vacation from her monotonous city life and visit extended family in the country for a summer, where she’ll help with the safflower harvest. The visit and it’s ease along with her families persistent badgering on when she’s going to get her life together and marry cause her a wistfulness during the trip, often finding herself reflecting on her childhood as a young school girl, her family perceived rambunctious ways and her first crush. The split between present and past give the film an overall nostalgic tone as we, just as Taeko, reassess simpler times and the moments that molded us into who we grow to be. It’s remarkable just how enormously we can see how Taeko being admonished for such silly and petty things by her family led her to be someone itching for an escape, her overactive imagination shaping a young girl into a daydreamer. There’s a slightly more obvious thread with a love interest in present day with local farmer and environmental enthusiast Toshio (Dev Patel), but this too is inspired by finding a kindred spirit, something that Taeko as a child seemed to be missing, always being pictured as the odd one out when it came to her family. Ridley and Patel both do wonderful voice work as the characters, Ridley in particular not only tackling and American accent but also adding layers of depth to Taeko, especially when she speaks of her family. There’s such bitter sweetness to her tone that it adds a greater impact to the stories she tells that aren’t so favorable of her childhood, and a lightness to her triumphant ones that it gives Taeko even greater shading than the lines and colors already have. Such as it were with ‘Kaguya’ the film tackles weightier themes regarding the female experience, and with this film in particular it’s puberty, something so infrequently talked about in film (about women at least) that it was surprising to seen it discussed so blatantly with little fanfare in an animated film. It’s frankness about the subject, menstruation in particular, is spoken about in ways that I can remember in a similar fashion. This is only one example in a film plentiful of moments that showcase, celebrate even, the female experience. A highlight is a sequence, post invigorating baseball game, where young Taeko is courted of sorts by a boy she likes, a stripped down street lane, illuminated by the bleeding sunset and shadows cast by the just turned on street lights. It’s a sweet and simplistic scene that takes on the surreal as she floats home on a heart shaped cloud, blissful from the attention and strong, overpowering emotions of a pre-teen. Juxtapose this with a Taeko who is more romantically reserved, more willing to watch, listen and learn than involve herself with others. Taking in the criticism she used to get (some just, mind you) and it’s easy to see her try to mold herself into who her family wants her to be rather than who she yearns to become. But Taeko is so much more than regret or sadness and there is such an inquisitive nature to her character, one that’s always curious and always striving to learn more. Both versions of the character are beautifully sketched. Her evolution seen in pieces shown in delicate fragments, just as our own memories would appear to us. Equally as beautiful is the artistry itself which is to be expected considering the artist orchestrating it all. One of his greatest achievements in animation as seen in ‘Kaguya’ is his ability to use the frame as he see’s fit and how he uses space to tell a story. The flashbacks are much more likely to keep the color and illustrations concentrated, showcasing just how big Taeko’s world is by how far the color touches. The the aformentioned scene where she rides the cloud home, the color slowly expands as she flies. Compare this to the more visually richer world of Takeo as an adult, where the expansive fields seem never ending, everything tinged with a sense of life and it demonstrates how much she’s grown. Possibly too patiently paced for very young viewers, Only Yesterday finally arriving in U.S. theaters after 25 years couldn’t be more of a treat for film enthusiasts and this is a must see for the big screen. A story with universal themes that simultaneously details one girls experience, Only Yesterday is inquisitive, meditative work of art. 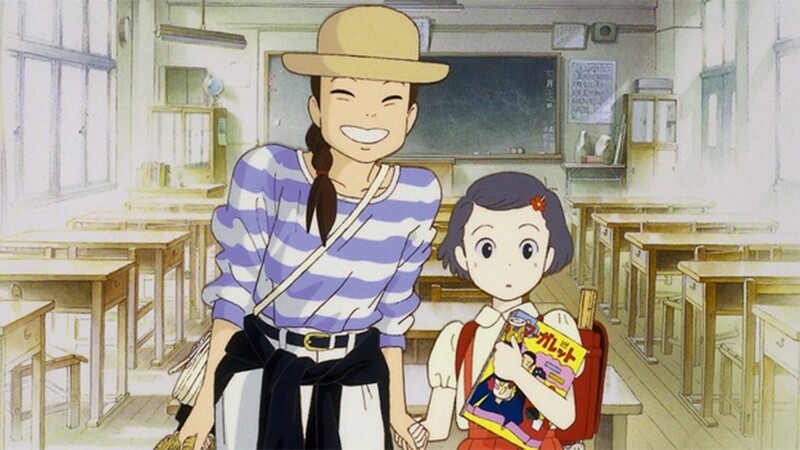 Only Yesterday is playing now. Previous ArticleTV Review: Legends of Tomorrow (1x06) "Star City"